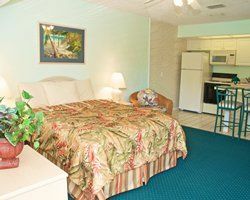 When you find white sandy beaches and sparkling blue water that are beckoning to you, you'll be able to answer that call by staying at Smugglers Cove Resort on beautiful Anna Maria Island in Florida. Visitors find themselves mesmerized by activities like horseback riding, Segway tours, rollerblading, horseshoes, mini-golf, a choice from 17 challenging golf courses, and a tasty trip to an ice cream shop. Stroll along the quaint strip and visit local shops and restaurants. A short trip up to nearby Tampa takes you to the Florida Aquarium, Busch Gardens, the Mosi Museum and exciting Adventure Island. Everyone appreciates this beach getaway with enough heart-pounding attractions to keep all ages entertained. 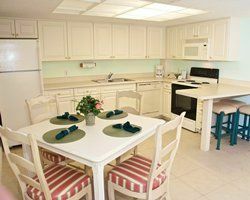 With award-winning bistros located near these Anna Maria Island timeshare resales, you will always have a great selection of delightful meal choices. The whole family will adore amenities like the Jacuzzi, heated pool, picnic areas with grills, fishing pier, bicycles and horseshoes. Right behind your resort you'll find stunning tropical gardens. Not only is the ambiance welcoming, the resort staff enjoys treating everyone like family. Enjoy activities like a chicken or hot dog roast, trivia games, or simply relax on the beach. 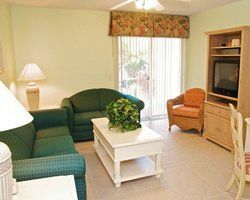 In your Smugglers Cove Resort timeshare unit you will find thoughtful amenities like large, comfortable beds, well equipped kitchens with an oven, microwave oven, dishwasher and refrigerator freezer, along with a nice supply of cookware. For entertainment, everyone will love the large TV, CD player and DVD player. 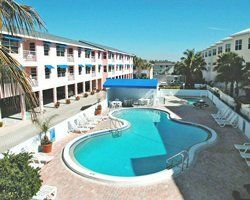 Views from your unit are stunning and make every stay in one of these Anna Maria Island timeshare resales very worthwhile. 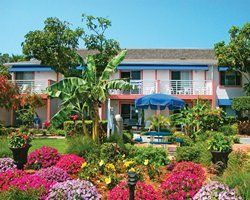 Everyone will find themselves wanting to revisit Smugglers Cove Resort every year, and will look forward to all the resort amenities and the fun activities. The best family memories are made during exciting vacations. Anna Maria Island will quickly become your new go-to family fun destination. Contact Smugglers Cove Resort Specialist Today!